Apply the horizontal valley-fold of the step #14. 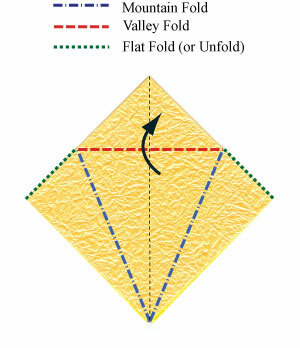 Prepare to unfold three valley-folds that you have applied. Unfold three valley-folds to go back to the square base of the step #11. 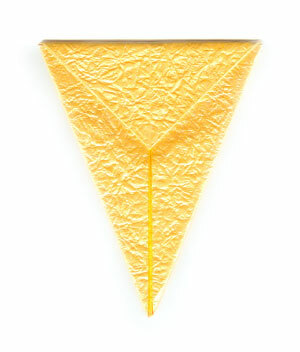 Prepare to apply a "petal-fold" . At first, prepare to apply a horizontal valley-fold by lifting the front-most layer.